Costco Anywhere Visa no longer has FTF. It never had FTF. I guess this wasn’t mentioned in the wiki, but now it is. Free” Costco membership ($40 statement credit + $20 Costco cash card) for FIDO cardholders only. There are three posts about this and none of them correctly point out that this is targeted. Elan Financial does deals like this occasionally (I got a movie, popcorn, drink, and $20 Visa gift card from them recently), and they are directed to only a small subset of the card holders. I don’t see anything in the T&C saying its targeted. What am I missing? 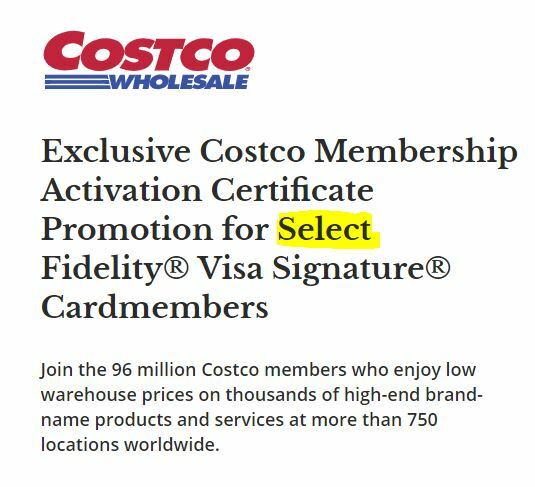 Possibly the fact that you didn’t get invited to participate in the offer, and the word “Select” in the offer. Yeah, I skipped right to the T&C. Thanks.